Deputy Snoke assisted Pomeroy Police on a traffic stop that resulted in PPD arresting two subjects on warrants through Middleport Mayors Court. Deputy Snoke and Deputy Hill responded to a call of a pedestrian in the roadway on State Route 7 near Howell Hill Road. The subject was taken to their residence in Pomeroy. Deputy Snoke responded to a fight call at the Mizway Tavern, however, upon arrival all parties involved had left the area. No further action was taken. Deputies Snoke and Hill also responded to a suspicious person call on Snowball Hill. No one was located. Deputies performed two house checks. Deputy Snoke attempted to investigate a possible stolen vehicle report, however at the time the victim was not able to give a statement due to medical issues. The case was later handled by Sgt. Mohler. Deputy Snoke took an initial report of child abuse issues. The case is being forwarded to Meigs County Children Services and the Meigs County Prosecuting Attorney’s Office Family Violence Investigator. Deputy Snoke conducted a traffic stop on Highland Avenue. Cameron Whaley of Syracuse was arrested but later released with a summons for driving under suspension. Deputy Snoke and Sergeant Jones responded to an assist call with Meigs County EMS on Bradbury Road. Deputy Snoke and Sergeant Jones also responded to a domestic violence call in Harrisonville. A report was taken, and the investigation is pending. Deputy Snoke transported two inmates from the Sheriff’s Office to the Middleport Jail. Deputy Snoke conducted a traffic stop on Race Street in Middleport. No citation issued. Deputy Snoke also conducted a traffic stop on Union Avenue. Randy Williams Jr. of Racine was arrested for driving under suspension but later released with a summons. Deputy Snoke and Sergeant Jones responded to Harrisonville for reports of reckless driving. The suspected vehicle was located in a yard in Harrisonville, however it was abandoned, and the resident could not be contacted to see if it was supposed to be there or not. No further action. A theft from a residence in Racine was reported. Deputies continue the investigation. Deputies responded to a prowler call on State Route 124 near Hysell Run. Caller advised on scene that he did not believe anyone had been there. Call closed unfounded. Deputies responded to Matheny Road for an alarm call at a residence. Residence was found to be secure. Deputies conducted a traffic stop near the 124 Mart. No citations issued. Deputies performed three house checks. Deputies responded with OSP to an accident on Dexter Road. Deputies responded to Cone Road in Albany for a prowler call. It was later confirmed that the prowler was actually a resident who was playing a joke on the other resident. Deputies responded to a report of suspicious activity near the fairgrounds. It was determined that the subjects had only been there fixing a mechanical issue with their vehicle, however Tristan Garnes of Middleport was arrested on an outstanding warrant through Middleport Magistrate Court. Dispatch received a call from an emergency line advising they had been speaking with a female on Dixon Road and would like for a deputy to do a well-being check on her. A deputy was dispatched to the home and spoke with the female and it was determined that she did need medical attention. She was transported the Holzer Meigs ER. No further action was taken on this call. Dispatch received a call from the Darst Nursing Home on Children’s Home Road advising their alarm had went off twice that morning and the last time they heard it someone tried to enter the side door of the facility. Deputies were sent to the location and checked the outside on the building and patrolled the area. No one was found. The facility has been placed on the house watch list and patrols extra patrol will be in the area. Dispatch received a call from and individual advising someone had broken into his barn on Barr Hollow Road. Deputy Stacy responded and checked the property with the owner. It was discovered that several tools and other miscellaneous items had been taken and placed in a container behind the barn. It is believed that the suspect had intended to return and take the items later. This incident remains under investigation. Dispatch received a call from a resident on Darst Road, Albany, advising that someone had broken into her home while she was gone, and she is unsure if anyone is still inside. Sgt. Mohler was dispatched to the residence and cleared the home. No one was found. She then looked around and advised nothing appeared to be missing. A report was completed, and this incident remains under investigation. Dispatch received a call of a suspicious car sitting at the church in Carpenter. Deputy Stacy was dispatched to check on it. When he arrived on scene the car was still there. Contact was made with the driver and it was determined that his car had broken down. Deputy transported the driver home and he recovered his car the next day. Dispatch received a call from EMS advising they had received a call requesting a squad at an address on Martin Street in Rutland. There was a lot of yelling in the background and thinks it could possibly a domestic situation. Deputy Stacy was sent to the address to secure the scene for the medics. It was determined to be purely a medical call, the yelling heard by the 911 dispatcher was because of a hearing aid with a dead battery. No further action was taken by deputy on this call. Dispatch received a call from EMS advising that they were sending a squad to a home on Grueser Hollow for an unknown head injury. Deputies arrived on scene with the squad. It was determined to be a medical call and no further action was taken by deputies. Deputies assisted Chillicothe PD in locating the owner of a vehicle involved in a hit and run in Chillicothe. A phone number was obtained and given to CPD. Deputies served a paper three court papers. Deputies responded to Loop Road for a report of a suspicious vehicle in a driveway. Upon arrival the vehicle was located sitting sideways in the roadway with only one tire off the road. The sole occupant was in the back seat and appeared to be intoxicated with open containers in the vehicle. The vehicle was towed, and Charles Mattox, age 45, of Point Pleasant was arrested for disorderly conduct while intoxicated. Mattox was incarcerated in jail. Deputies performed six house checks. Deputies responded to Syracuse with EMS for a reported overdose. The subject was found to be alert and oriented and no evidence was located. Deputies responded to 124 Mart for a crash. Minor damage to both the gas station equipment and the vehicle were reported. Deputies transported an inmate for medical and mental health treatment. 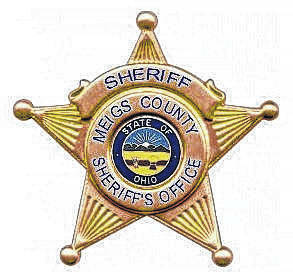 Deputies transported an inmate from Monroe County Jail to the Meigs County Jail for a court appearance. Deputies performed five house checks.